Got the all records to in the own hands. Deep House banquet by three special record diggers. 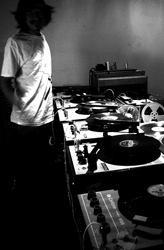 Nick The Record play gigs that has been shut up deep house lovers in this country since long time by LIFE FORCE. His outdoor festival’s DJ and TAICOCLUB’s long set is becoming to annual. He will come back to HOUSE OF LIQUID again since 2013’s show with Pepe Bradock. His digging does not have matter to border of music, to border of the world. This banquet would be like a only one night tale. It isn’t found in other. Also Toshio ”Bing” Kajiwara and MOODMAN was doing the record digging long time long. Bing was worked at the famous NY’s record shop “A1 records” in the world. 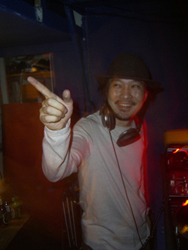 Usually His DJ style is very free set however, He will do the House set DJ this time. This is very special things. Finally, description unnecessary guy. “MOODMAN” also known as Mr.HOUSE OF LIQUID. Don’t miss the “Night Tale” by three special record diggers’s banquet. Just Open!! 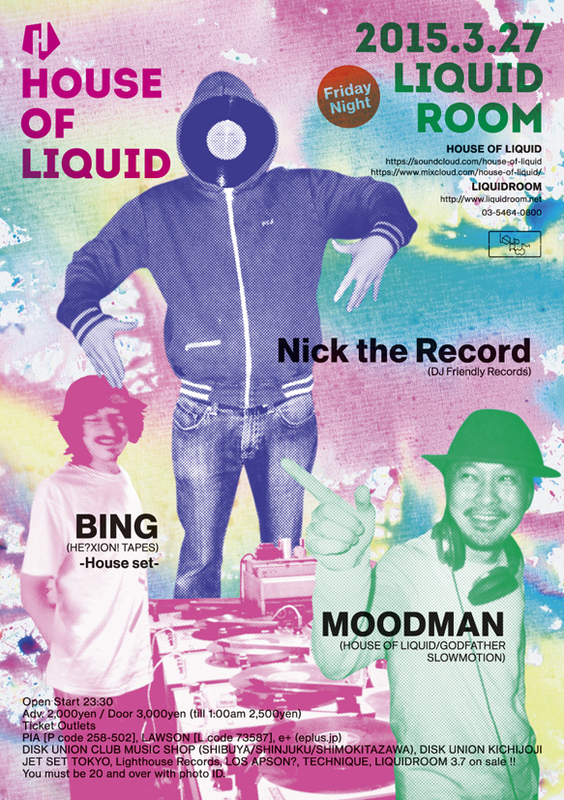 Our Specialty Party “HOUSE OF LIQUID”‘s SoundCloud/MixCloud is open!! 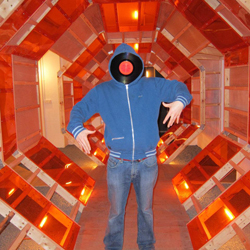 The first mix is “MOODMAN” also known as Mister HOUSE OF LIQUID from 31th January’s HOL. Check it out! !